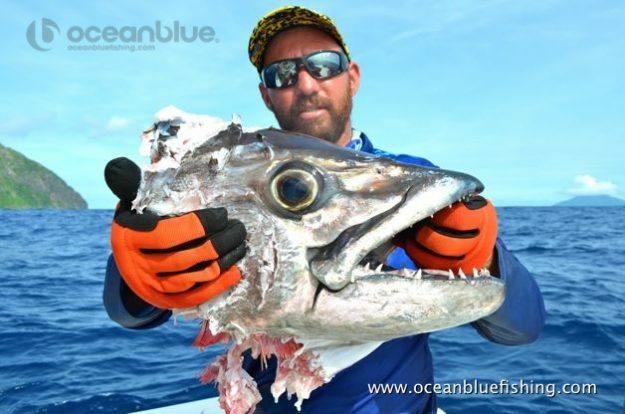 Ryan MacDonald, Chris Watson, Chris Webster and Brad Chard started planning their Ocean Blue adventure some 18 months ago, so it was quite a countdown & exciting lead up for the boys! 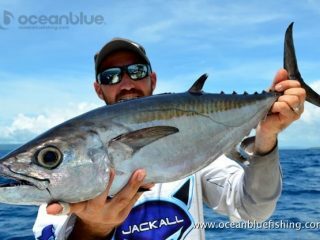 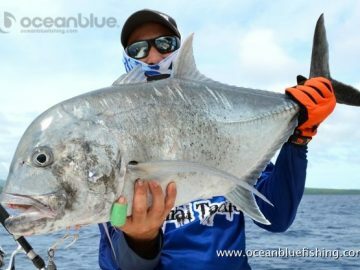 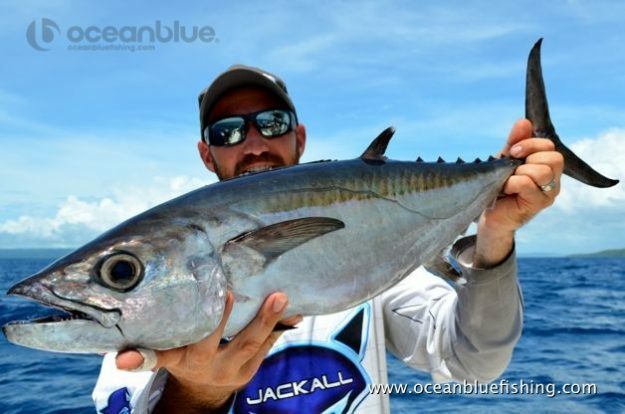 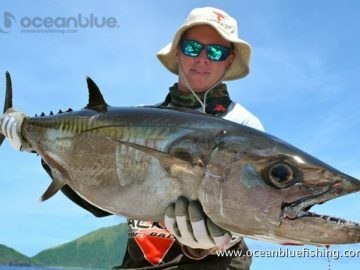 Finally that day became a reality, when they arrived at Trees and Fishes, and to typical glassy summer conditions for their week long popping and jigging adventure. 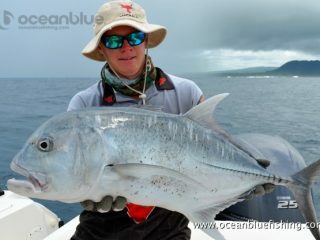 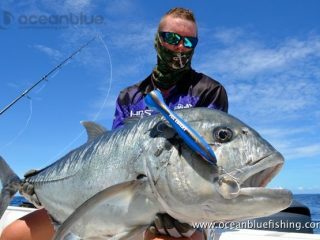 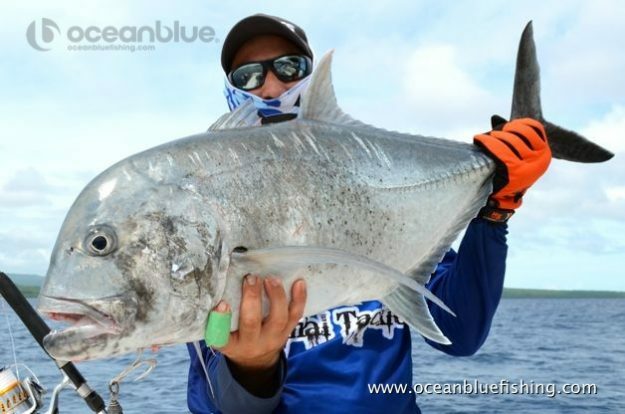 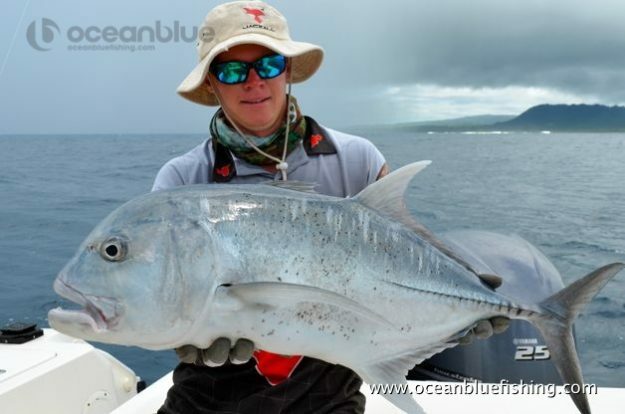 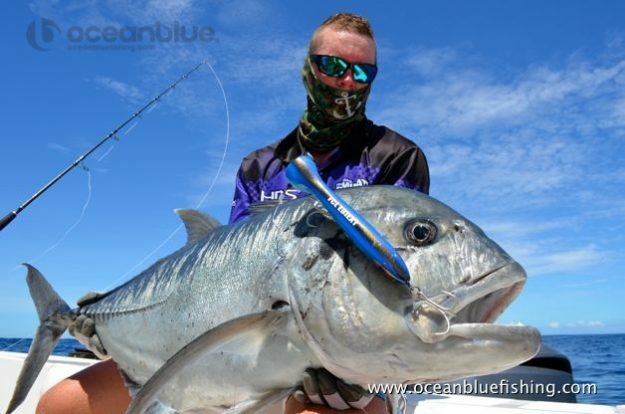 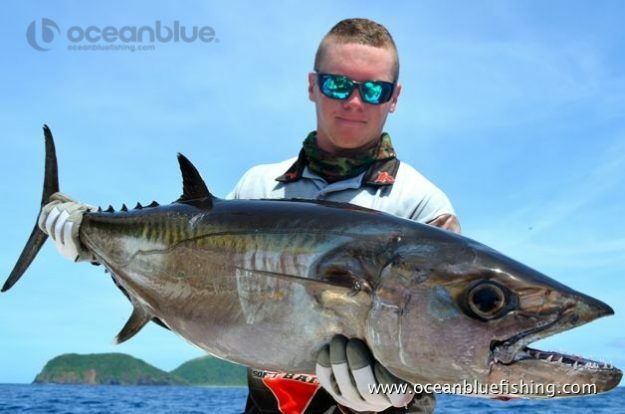 Fishing wise, the boys missed a few trophy fish in the 50kg plus bracket, as you’ll what’s left from the tax man. 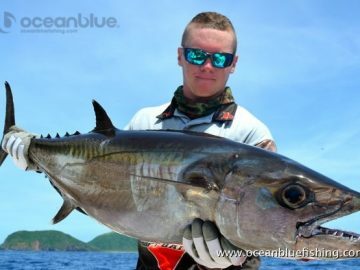 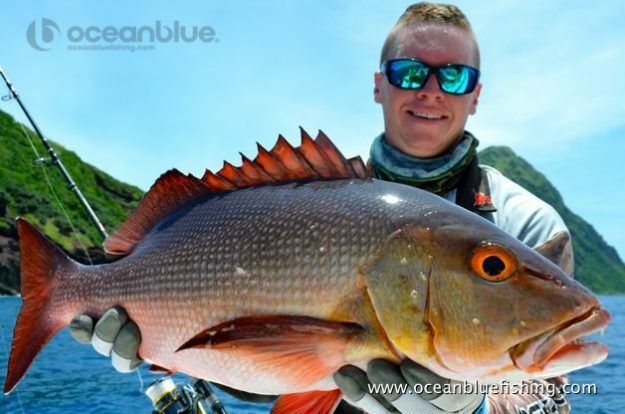 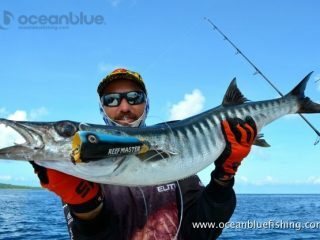 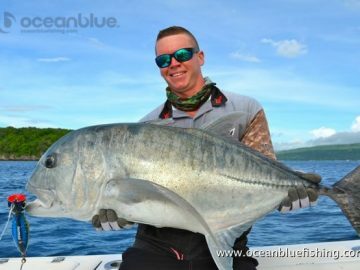 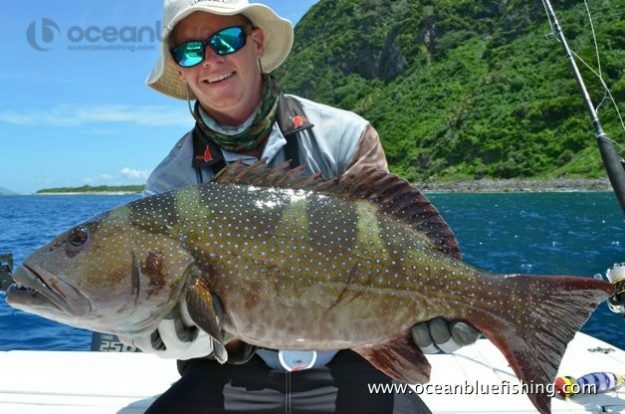 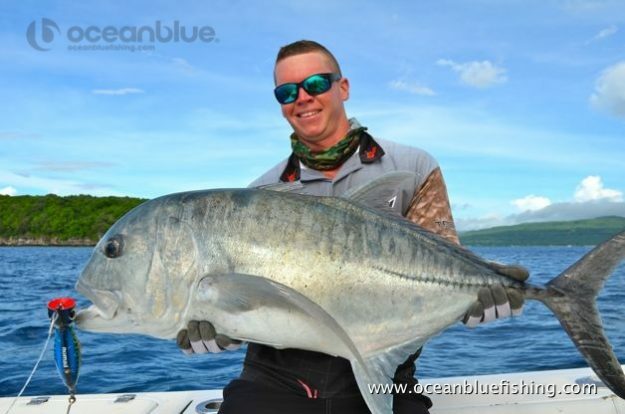 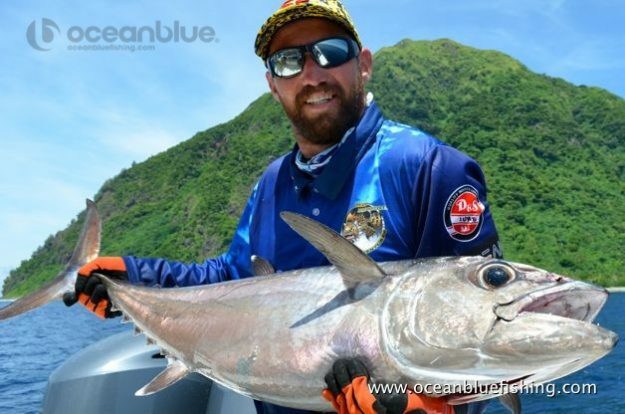 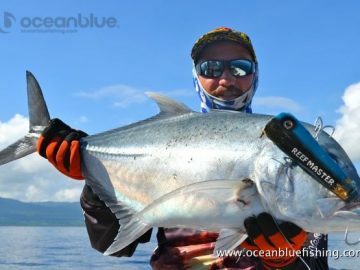 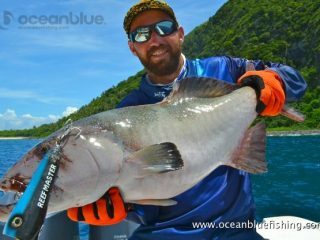 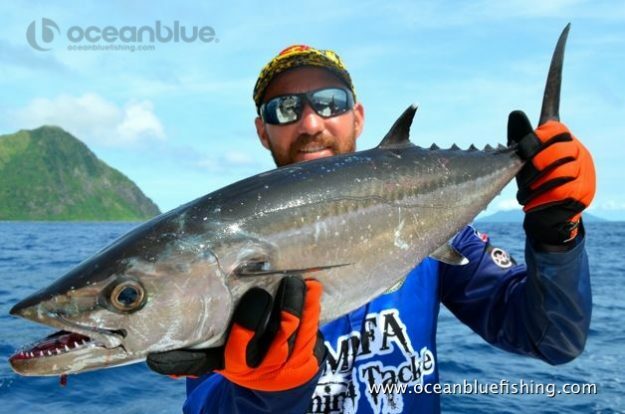 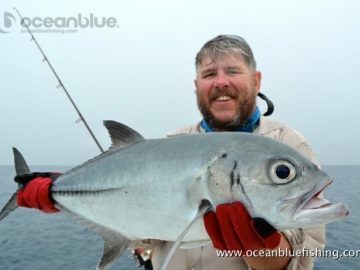 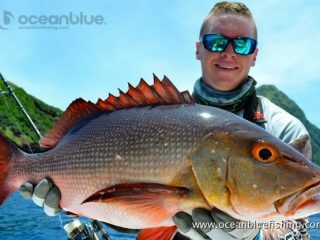 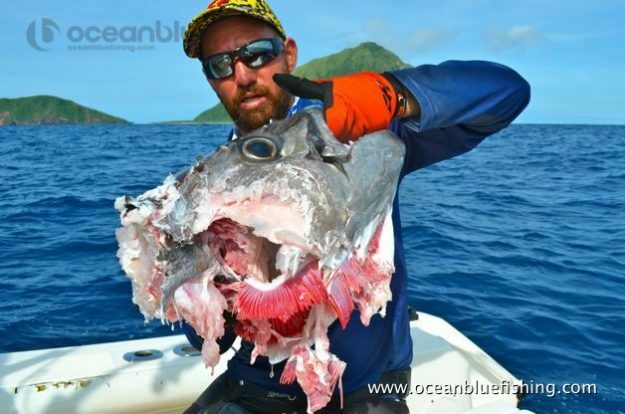 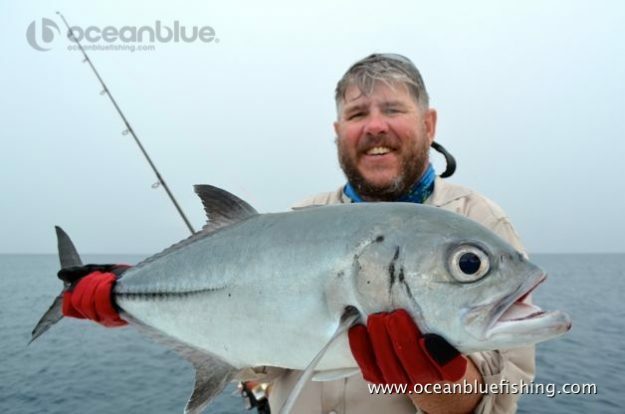 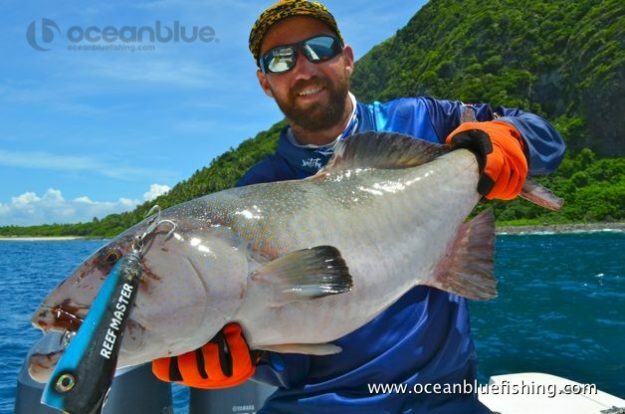 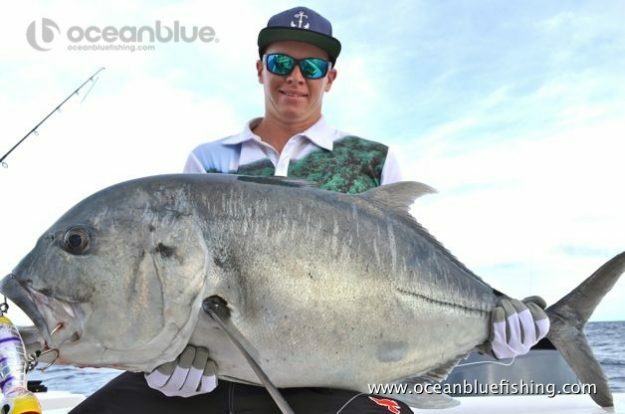 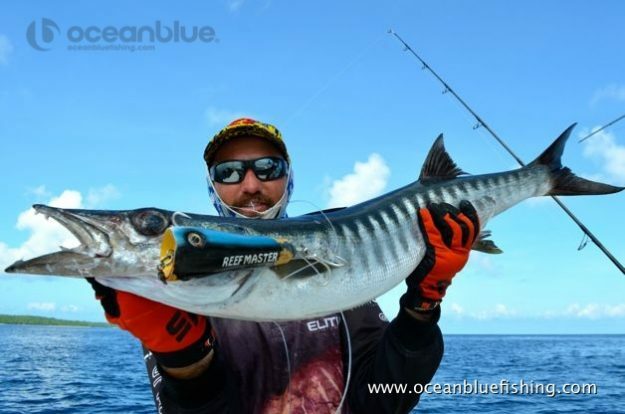 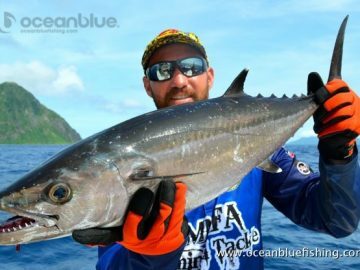 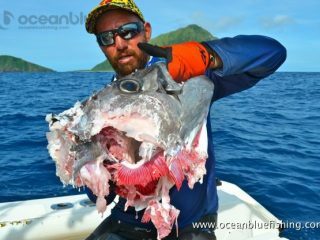 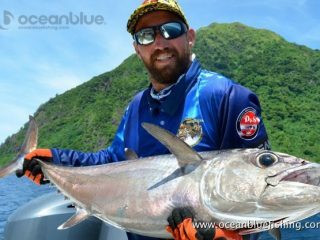 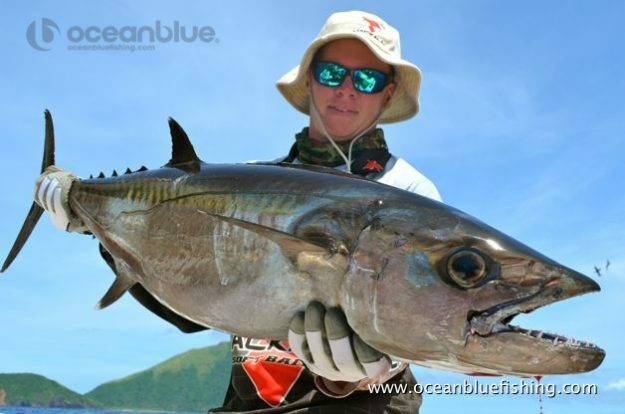 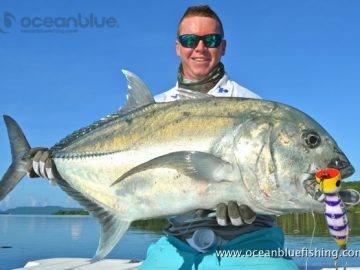 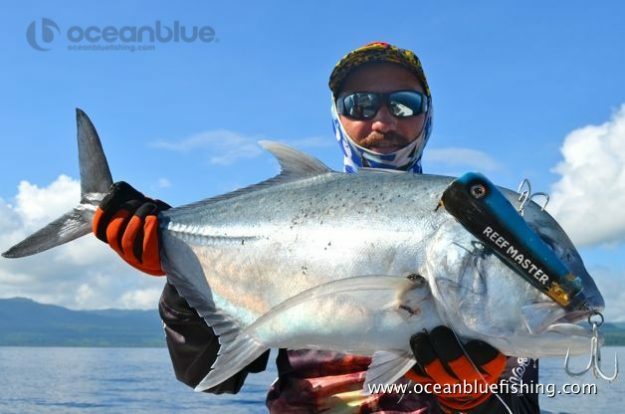 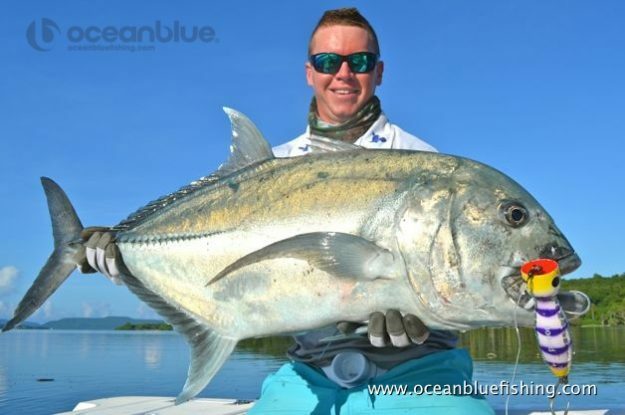 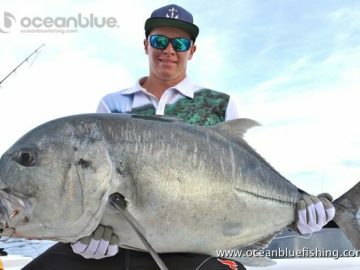 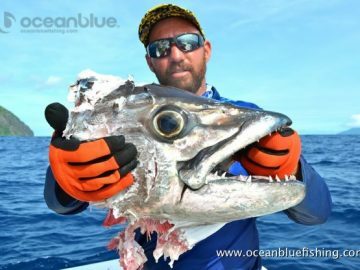 They landed some personal best GT’s and doggies, while Brad’s Reef Master range of poppers deliverd on some quality coral trout, getting the big thumbs up from Andrea! ‘Natures Way’ teams great start to a great year! Ticked Another Species Off My Bucket List!